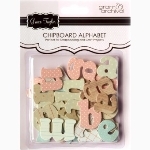 Personalise your bow with an alphabet letter! to contact me about first for a price and for availability! Depending on your child’s name, you may even fit the entire name on a clip! Colours shown are how each letter comes. I am unable to alter the colours of the letters.